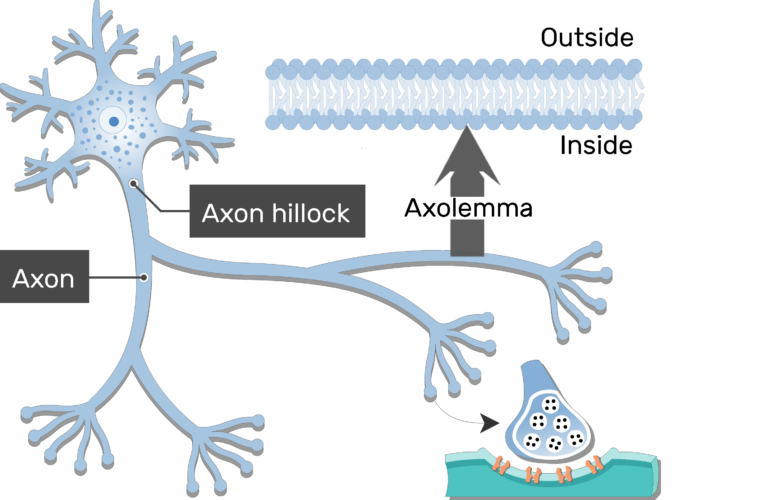 Axons most commonly attach to one side a neuron cell body (soma, perikaryon), at a cone-shaped region called the axon hillock. Electrochemical events in the cell body summate in the axon hillock, and the effect are directly passed to the attached axon. 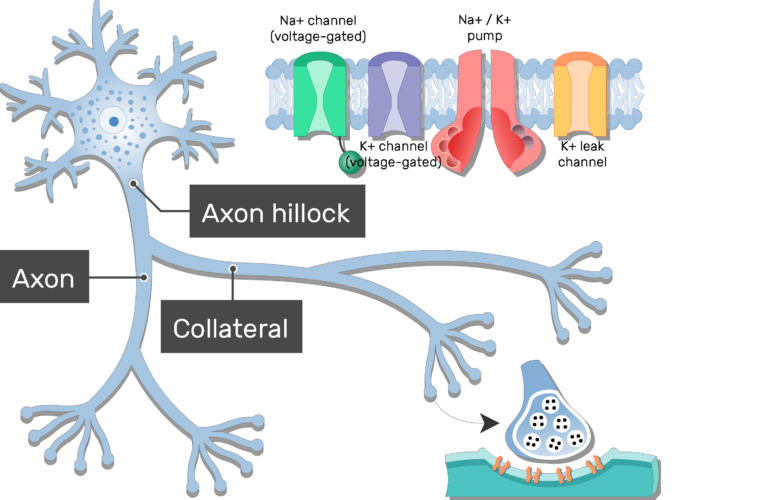 If an action potential is generated, the axon conducts it away from the cell body. 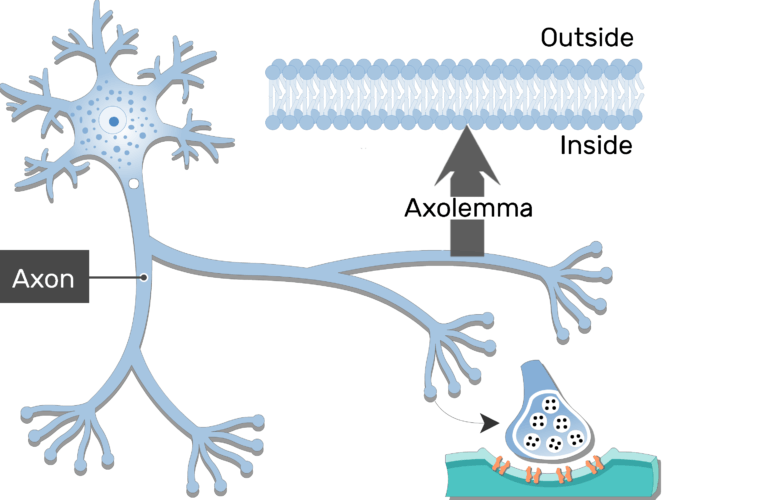 The axon attaches directly to the dendrites in some neurons. 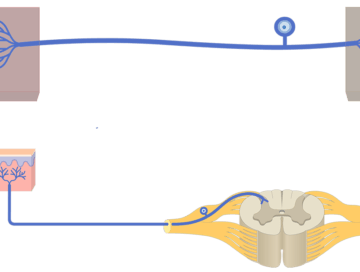 In this arrangement, the axon conducts action potential toward the cell body. 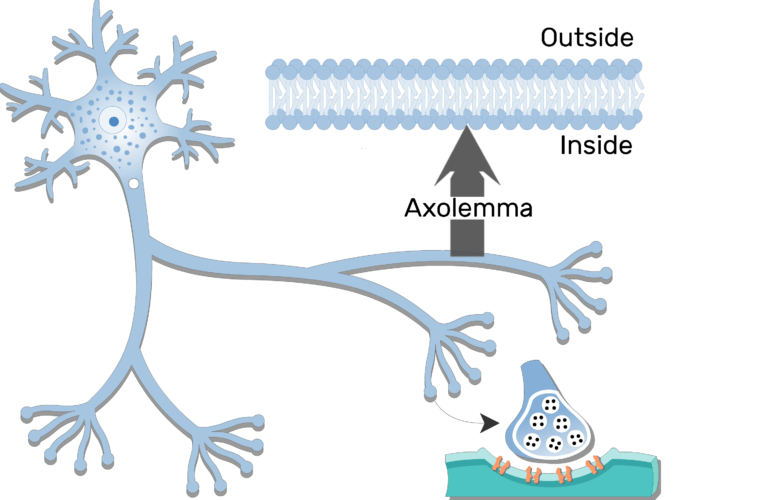 Several types of proteins in the plasma membrane of an axon (axolemma) allow it to produce and conduct action potentials. 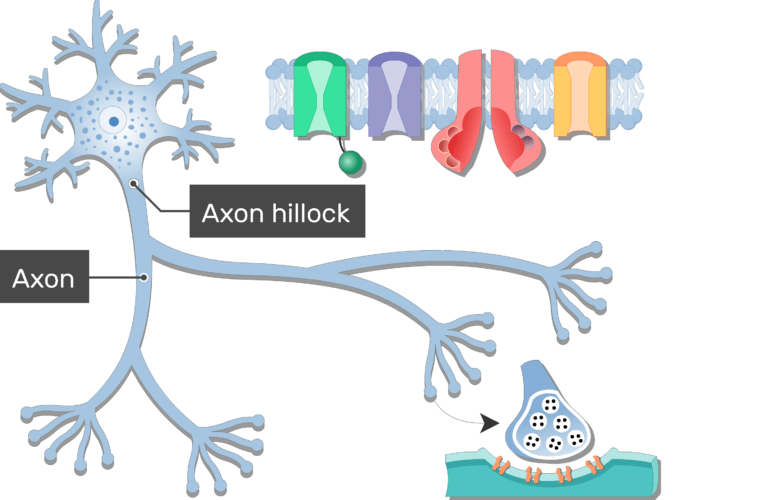 The initial segment of an axon has the highest concentration of these reactive proteins. 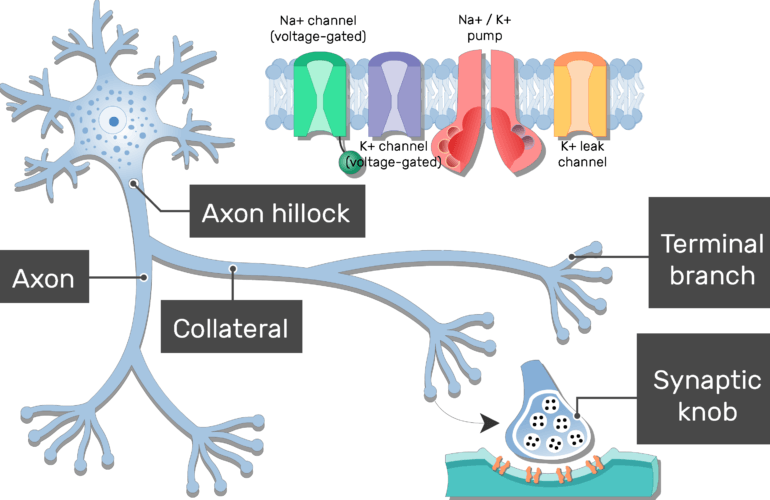 this region is an axon’s trigger zone, where action potentials are first produced if electrochemical events in the dendrites and/or cell body reach a threshold level. 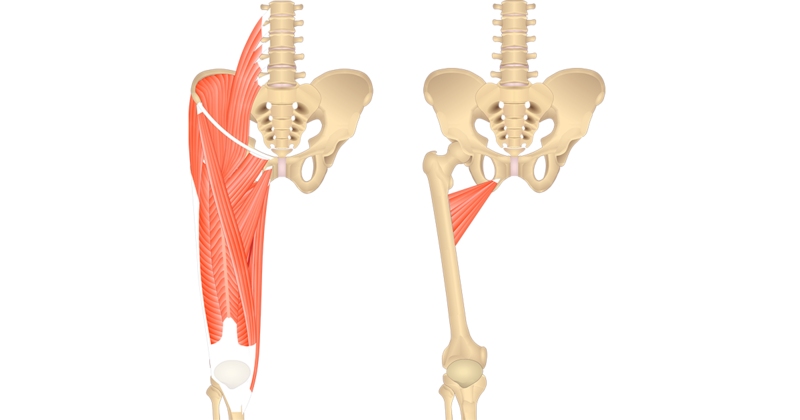 Axons vary in length from a few millimeters to just over a meter. They are less branched than most dendrites, but often give off one or more large collateral branches that lead to other cells. Before ending, an axon and its collaterals split into clusters of small, thin terminate branches (telodendria). 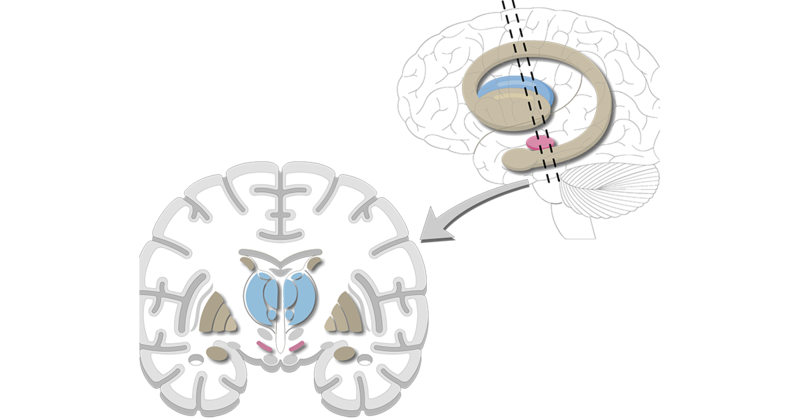 The rounded tips of the terminal branches are called synaptic knobs, (end bulbs, axon terminals, synaptic terminals, terminal boutons or buttons). Inside the synaptic knobs are vesicles (synaptic vesicles) that contain neurotransmitter molecules. 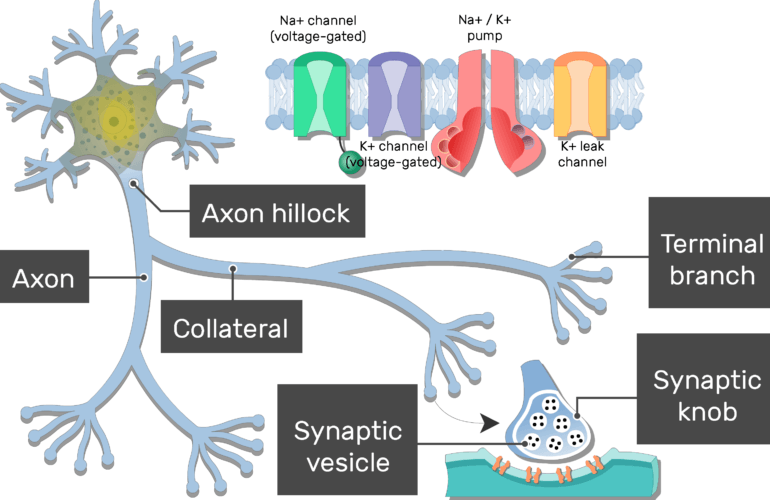 A synaptic knob usually lies adjacent to another cell. the neighboring cells and the gab that separates them is called a synapse. 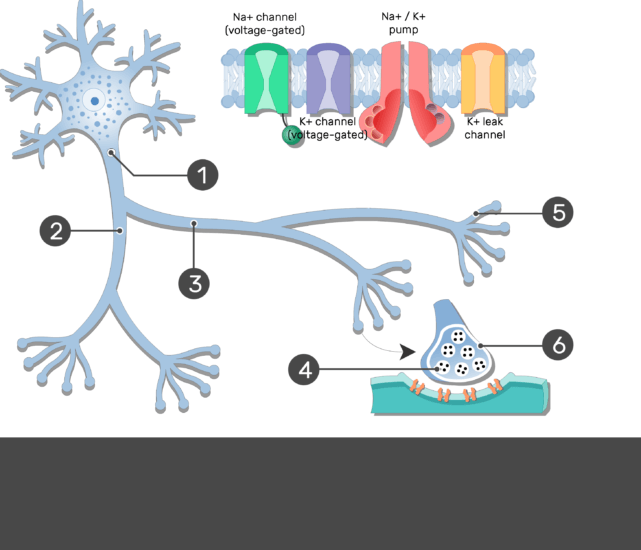 The plasma membrane of postsynaptic cell has receptors for the neurotransmitters in the vesicles of the synaptic knob. 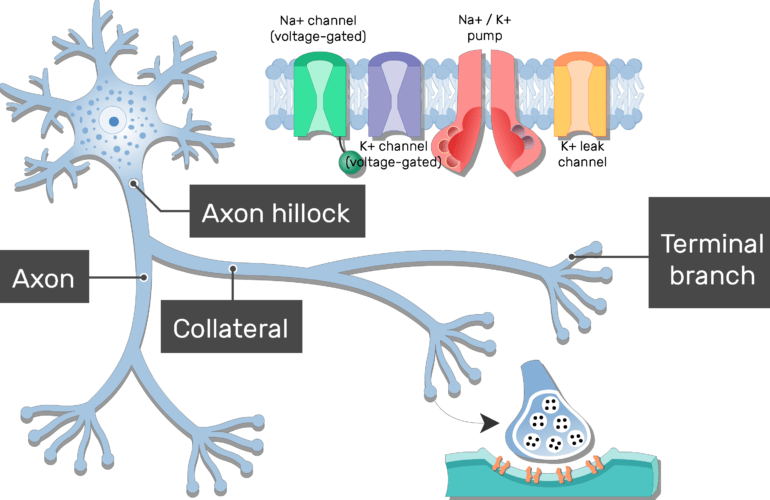 When an action potential is generated, it travels (propagates) the length an axon to synaptic knobs, where it signals the synaptic vesicles to release some of the stored neurotransmitters. 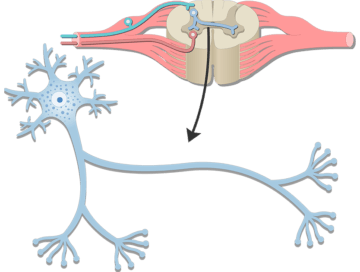 Unipolar (pseudounipolar) neurons have one process that attached to the cell body. 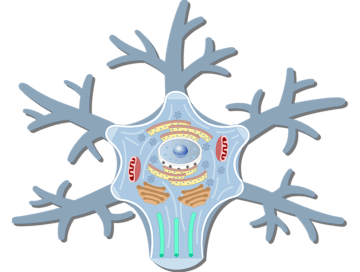 Neuron Cell Body (Structure and Functions); explained beautifully in an illustrated and interactive way. Neuron (Basic Structure and Functions); explained beautifully in an illustrated and interactive way.